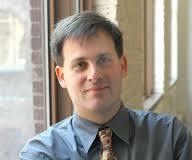 Michael Chernew, Ph.D., is the Leonard D. Schaeffer Professor of Health Care Policy at Harvard Medical School. Dr. Chernew’s research activities focus on several areas, most notably the causes and consequences of growth in health care expenditures, geographic variation in medical spending and use, and Value Based Insurance Design (VBID). Dr. Chernew is a member of the Congressional Budget Office’s Panel of Health Advisors and of the Institute of Medicine Committee on National Statistics. Dr. Chernew is the former Vice Chair of the Medicare Payment Advisory Commission, which is an independent agency established to advise the U.S. Congress on issues affecting the Medicare program. In 2000, 2004 and 2011, he served on technical advisory panels for the Center for Medicare and Medicaid Services that reviewed the assumptions used by the Medicare actuaries to assess the financial status of the Medicare trust funds. Dr. Chernew is a Research Associate of the National Bureau of Economic Research. He co-edits the American Journal of Managed Care and is a Associate Editor of the Journal of Health Economics. In 2010, Dr. Chernew was elected to the Institute of Medicine of the National Academy of Sciences and served on the Committee on the Determination of Essential Health Benefits. Dr. Chernew earned his undergraduate degree from the University of Pennsylvania and a doctorate in economics from Stanford University.